This major theoretical work takes existing work on the emotions in significantly new directions. 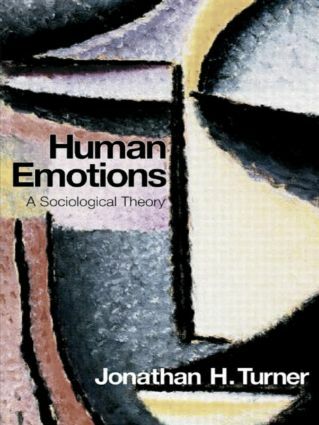 It gives a comprehensive account of emotions, beginning with general sociological principles, moving over important theory construction of social formation and applying this to a detailed and unified 'grand' theory of human emotions. Presenting a unified view of the emotions in the social universe, the book explores the relationships between emotions, social structure, and culture. Turner hypotheses how social structure and culture affect emotional arousal in humans, and vice versa. This book is essential reading for undergraduate and postgraduate students researching sociology of emotions, social psychology, and contemporary social theory, and is also relevant for students and researchers working in the fields of psychology and cultural studies. Why did humans become so emotional?